Lulu Roman, is hitting the media trail hard, promoting her new musical project, At Last. 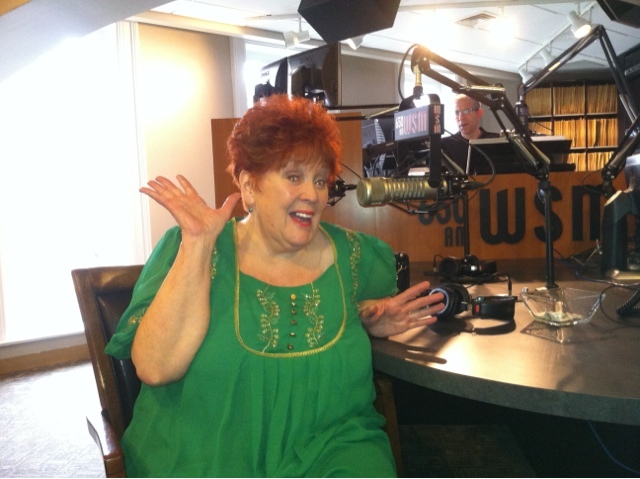 This morning she made a stop at 650 WSM, for Bill Cody's morning show! Mike Huckabee and Lulu, enjoyed a great interview as well. The two discussed her career, as well as their admiration for Dolly Parton, who makes a guest appearance on the project. The two duet on I Will Always Love You. At Last, is Lulu's first foray into this style of music, though it's the music she was first drawn to. The album features classics like Killing Me Softly, Summertime, Get Here, Fever, Til I Can Make It On My Own, You Don't Know Me, In My Life, in addition to the title cut. Other songs include guest appearances. You Are So Beautiful To Me, brings a bluesy T. Graham Brown, while Linda Davis, comes in for You Needed Me. The project closes with a soulful version of Precious Lord Take My Hand, as in true Lulu Roman form. Is Dolly Headed To Destin?